The Chronicle of Higher Education just published an online article “My Student, the ‘Terrorist'” by Jeanne Theoharis, professor of political science at Brooklyn College of the City University of New York and co-founder of the group Educators for Civil Liberties. 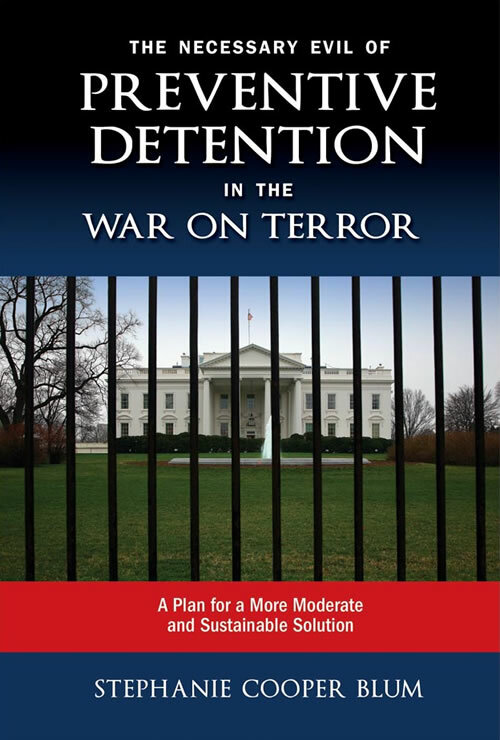 As seen, there are still many questions surrounding the preventive detention in the War on Terror. In her book The Necessary Evil of Preventive Detention in the War on Terror, praised by Professor Alan M. Dershowitz, Harvard University as “compelling and informative,” Dr. Stephanie Cooper Blum explores the underlying rationales for preventive detention as a tool in this war on terror; analyzes the legal obstacles to creating a preventive detention regime; discusses how Israel and Britain have dealt with incapacitation and interrogation of terrorists; and compares several alternative ideas to the administration’s enemy combatant policy under a methodology that looks at questions of lawfulness, the balance between liberty and security, and institutional efficiency. About the author: Stephanie Cooper Blum holds a JD from The University of Chicago Law School, a BA from Yale College, and will be receiving a MA in security studies from the Naval Postgraduate School’s Center for Homeland Defense and Security in December 2008. She has worked in the private sector and served as a law clerk to three federal judges. She is an attorney for the Transportation Security Administration.